The growth of BIM in Europe is unstoppable. After the Nordic countries, United Kingdom and Germany, Ireland is another of the territories that is putting more efforts in the implementation of this new methodology. At least, that are the key conclusions of the second national survey, that has revealed a very encouraging data for the sector: 76% of the respondents already rely on BIM' skills and knowledge owned by their companies and almost 79% have noticed an increase of the demand within the country. This data contrasts with those collected in 2015, slightly below current levels and that still showed some skepticism. Most of the Irish business is located in english territory so they have been forced to adopt BIM before 2016. The 100% of the projects are already made in BIM. The existing knowledge, economical resources and protocols have been strengthened to optimize production for Level 2, which has already begun to be implanted before the mandate. This has also made it possible to open a possibility of exporting the work abroad. It has driven costumers (engineers, architects and contractors) to require 3D data. There has been a development of a certain documents specifications and procedures that have proven useful standardizing workflows and internal protocols. Most of the work is based in United Kingdom, something that will be used to improve the Irish service, since there is a belief that market will develop equally in both territories. In the survey there is also space to analyze what are the main challenges that the industry still faces in this new scenario of BIM and has the clients as main protagonist. Precisely this sector (with a score of 5.38) is still not aware of the benefits of BIM, so it is common to require the projects delivery in more traditional formats. They follow the implementation in small businesses with a 3.54 (in an interview with BIMCommunity, Miguel Morea talks about that Little BIM is possible), the lack of standardized tools and protocols with a 3.52 and finally the little training BIM inside Of the team members. On the other hand, institutional involvement plays a key role in the evolution of BIM within the country. Respondents say that the Irish government must work to check for perfect and gradual adoption, review and check that legislation is prepared for BIM, the dissemination of national guides throughout the country and analyze that national standards can be adopted in the Irish construction industry. Seventy-four percent of respondents believe that migration to BIM is going well, although there is still some concern that the economic downturn has hit many practices. BIM requires a large initial investment, so small businesses could be affected because of their limited resources. That is why, the architects ask the government for a certain type of training aid, in addition to making public procurement more accessible from the presentation of a single project in BIM and not three, as it happens today. On the other hand, it is also necessary to join forces to continue to make people aware of what BIM is. Engineers, on the other hand, propose a greater awareness to the clients about what the value really means throughout the life cycle of a building and also of the cost savings that will suppose during the construction. It is important that builders do not use BIM simply to avoid responsibilities when coordinating work. For its part, this sector advocates following the example of the United Kingdom and setting a deadline when projects should be delivered to BIM, probably in two years' time. Training aid should be granted to both companies and professionals, so that qualifications can be improved at any level. Otherwise, the Irish builders will be displaced in front of their English compatriots. On the other hand, there is still a general idea that BIM is only for buildings, without taking into account other civil engineering projects. Trying to implement this methodology in other fields implies an important disbursement of human and economic resources, something that is difficult to justify with the current market prices and their slow development. The feedback received by the groups seems to demonstrate the increasing maturity of BIM within the most representative professional groups. UK Level 2 has had a major influence on numerous organizations that have experienced a growing demand for BIM in Ireland. Something that has also improved in the knowledge of BIM and the tools since 2015. The imminent road map for Ireland to be published in the first quarter of 2017, is an important milestone in the country's BIM adventure. This planning, which involves an agreement between industry and government, will include recommendations on contract and procedural routes, existing international standards and their suitability for the Irish construction sector. 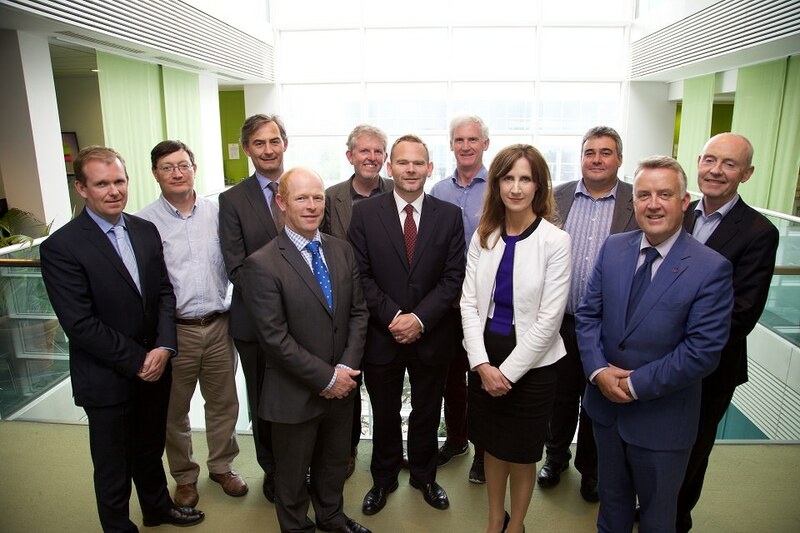 Some events such as the CitA BIM Innovation Awards of 2016 and the BICP project have demonstrated the maturity status of BIM and will continue to work to improve skills. Are Donald Trump and Hillary Clinton a good choice for the AECO industry?